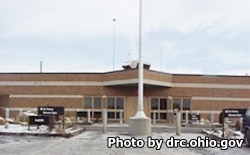 Mansfield Correctional Institution is a close custody prison located in Mansfield Ohio. In addition to housing close custody offenders, this facility is responsible for operating a minimum custody camp. Inmates in the camp work the institutions farming operation. This facility is currently operating over capacity and houses around 2,680 inmates. This facility participates in the prison industries program and operates a box factory, a computer data entry operation and a YUSA shop responsible for deflashing and cleaning parts used by Honda. An additional program run at this facility allows inmates to work training dogs that are up for adoption. Mansfield Correctional Institution offers vocational training in horticulture, masonry, carpentry, tailoring, landscaping, plumbing, machine operator, machine setter, stitcher, welding, electrical and HVAC. These vocational courses are offered to inmates so they may learn a new skill they can use for employment once they are released. Additional beneficial programs inmates can participate in are the adult basic literacy education program and a GED program.